Food Costs > How Much Do Jalapenos Cost? How Much Do Jalapenos Cost? Jalapenos are widely known for its distinct spicy taste. They are used in a variety of dishes improving the taste and adding a kick of spiciness. Jalapenos are medium sized chili peppers that provide a warm, burning sensation when eaten. They are very popular in the Central and South American regions and are more prominently used with their dishes. Jalapenos are sold and served in a variety of different ways, but they are mostly available in fresh and canned forms. By the pound, plan on spending anywhere from $1 to $5 per pound, but most of the time, grocery stores and merchants will price them by the pepper, usually at three to five per $1. This will depend on the variety, seller, the time of year and your geographical location. According to foodcoop.com, the current prices at the time of this writing was $0.90 per pound for waxed non-organic peppers from Mexico. Forum members on gardenweb.com also noted they paid as little as $0.25 per pepper. As for seeds, a packet of 700 to 1,000-milligram seeds can cost $0.75 to $3. Jalapenos can also come in a canned form and will sell for about $3 per 11-ounce jar. Jalapenos can be found in just about any produce department at any grocery store chain and will be about two to four inches in length. When these peppers mature, they will slowly turn from a green to a red and become progressively hotter as they age, and some people will prefer them green, while others will eat them red; this comes down to a personal preference. These peppers can be used for cooking when it does turn red or green and are consumed raw, used in rubs, dressings, guacamoles and blended in salsas and hot sauces. 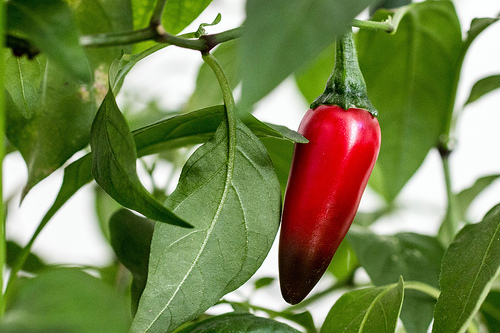 As a medium-sized pepper, they range anywhere from 2,500 and 5,000 Scovill heat units. This number will depend on the how much parts per million of capsaicin, which is what gives it the fiery bite, it contains. For roasting jalapenos, you will need to purchase a jalapeno rack, made specifically for this purpose. This type of rack usually costs $15 to $30. Jalapenos can also be canned to preserve their freshness, and if you plan to do so, canning materials will be needed. Generally, this shouldn’t cost more than $15 to $30 to get started. To find a fresh jalapeno, look for a glossy shine with a deep color. Always avoid those that look wrinkled or are soft to touch. If you love the flavor of jalapenos, but you don’t love the spice that the peppers have, remove the seeds and innards of the pepper to help reduce the heat. Most of the heat that these peppers contain are located in the placenta. By removing this, it will get rid of most of the kick. The next time you consider cooking these peppers in oil, consider using krill oil rather than fish oil. If you’re looking for a pepper with a lot of heat, pick either a red or green one that has stretch marks with a white color. Some farmers’ markets will have jalapenos, while others may not stock them at all since it seems to be a niche market. If you’re looking to purchase locally, they are often found in areas with a larger Hispanic population. One of the best ways to save money is by planting your own jalapenos. If you have the green thumb, then this is the best scenario for you. Avoid buying processed jalapeno unless it is absolutely necessary; always buy fresh jalapenos since processed jalapenos cost more due to the additional costs involved when they are being manufactured. It’s always best to purchase in season when they can be as little as five peppers for a dollar.